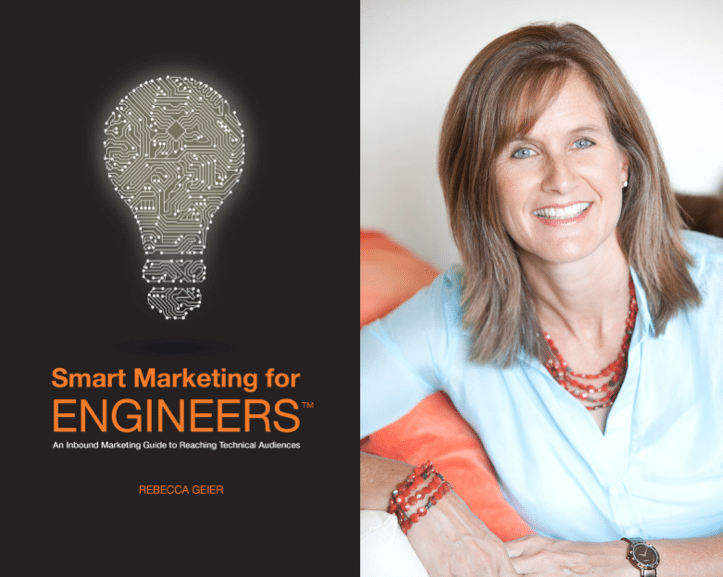 For the 147th episode of The Marketing Book Podcast, I interviewed Rebecca Geier, author of Smart Marketing for Engineers: An Inbound Marketing Guide to Reaching Technical Audiences. The book carefully threads the needle of marketing to a super skeptical audience and shows how to market to engineers (and technical audiences) who can sniff out marketing puffery in a second. Tip: your content needs to be clear, methodical and backed by research and written by experts. The book details all the steps on using an inbound marketing methodology to generate awareness and demand in B2B technical markets. It includes research on things like engineers’ browsing behavior and preferences (they tend to go way past the first page of Google to find what they want), and is filled with lists, templates, and examples from B2B engineering and scientific companies in industries including automotive, military/aerospace, consumer electronics, manufacturing, IT, and oil/gas. Douglas Burdett is the Principal of Artillery, a B2B marketing agency and is host of The Marketing Book Podcast. He is a former artillery officer, Madison Avenue ad man and stand-up comedian.